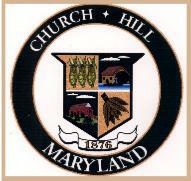 Planning & Zoning Minutes provide important information about advice provided by the Church Hill Planning Commission to the Church Hill Town Commissioners regarding all matters relating to the orderly growth and zoning matters in the Town of Church Hill. The planning commission consists of 5 members, one of which is a town commissioner. Members serve a 5 year term and are subject to reappointment. The Planning Commission selects a chairman, vice chairman and secretary from its membership. The chairman serves for 1 year and is subject to reappointment. The most current minutes are not posted until they are approved at the following month's meeting. The commission meets on the 2nd Monday of each month at 7 p.m. at the town hall unless otherwise posted.